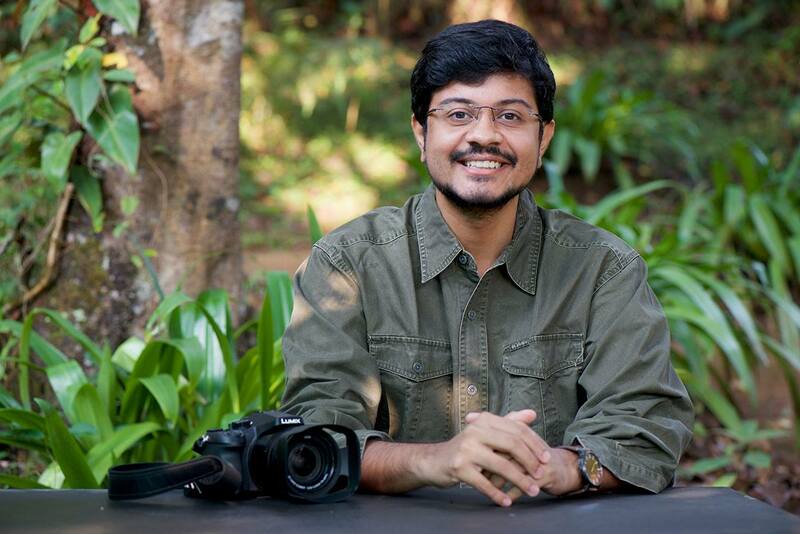 Ramnath Chandrasekar is a conservation educator. Using the visual medium, he helps children build empathy and understanding towards India’s natural heritage and complex environmental issues. Here is his story. Tell us a bit about yourselves, your growing years, education and work? My growing up years in my hometown of Pudukkottai were the best times of my life. They were filled with escapades into nature; looking for frog eggs in ponds; collecting them and putting them in fish tubs, waiting to see them turn into tadpoles; watching spotted owlets and snakes in a nearby scrub jungle; spending long hours seeing a purple rumped sunbird whiff through the hibiscus bushes to build its nest, and walking along the river every evening with my father after coming from school. Because of these enrichingly joyful childhood experiences, I had decided that, I must do something related to nature and wildlife. Since then, my life has been an exploratory journey that became more and more clear as I traveled in following my passion combined with my interests. During this time, I began my career as a naturalist, then as a wildlife photographer and filmmaker, and finally as a conservation educator. Today, using the skills and experiences I gained during the last sixteen years, I work with students to build empathy and understanding in them about India’s incredible natural heritage and complex environmental issues. At the moment, I'm a Leadership Fellow with the East-West Center pursuing the Asia Pacific Leadership Program Fellowship. What is the story of your journey into environmental protection from your original entry into wildlife photography? How did it come about? It came about in the most unexpected of times, like any self-realization! I moved to Chennai in 2002, and I was delighted to find my path. My arduous travels in the jungles was a fodder for my passion. I envisioned myself forest-hopping one assignment after the other, especially because I had got a toehold into the niche career of wildlife filmmaking in 2008 by working as a field assistant to wildlife filmmaker Sandesh Kadur on a documentary about King Cobras for the National Geographic Television. Returning back from Agumbe after around 8 months of working in the rainforests, I had gone to the river in my hometown which had been one of the sources of my connect with nature. Water wasn’t flowing in it. It was dry. The birds and the fishes were gone. They affected me. I couldn't sleep. Around the same time, I was invited for an awareness program near the western ghats. That's where I was shocked to discover that many children living near the foothills weren’t aware about the role that Western Ghats play in the everyday life of people in Peninsular India. Most students didn’t know that peninsular Indian rivers like the Godavari and Krishna originate in the Western Ghats, and that, they play a crucial role in the life-giving monsoon. I felt restless. So, I went to my mentor Shekar Dattatri and expressed my urge to do something of more meaningful in life, like him. It was he who found the spark in me and paved the way for my life as an educator. I wouldn’t call myself a conservationist, because, conservationists are the ones fighting on the ground battles to protect our last remaining patches of forests, and the wildlife that lives there. I see myself as a communicator; a facilitator. I do what I can from my own expertise for nature. If everyone one of us does this, lawyers, fashion designers, engineers, then our pristine ecosystems will have a chance to thrive for the years to come. What are some of the key work areas / activities you've handled in pertinence to education? The first program I worked in conservation education was in 2010 using two documentaries called ‘The Truth About Tigers’ and ‘Save Our Sholas’. Coming from an introverted medium like photography, I needed to start somewhere. That's when Shekar and I started a non-profit initiative called Youth For Conservation. Through the support of Wildlife Conservation Society - India Program, Wildlife ConservationTrust, and our regional partners, I was able to take these documentaries to schools and spread awareness about tiger conservation, western ghats and the role of every single species in an ecosystem. By the end of these marathon sessions, I was able to interact with 50,000 students across many towns and villages in Tamil Nadu! These programs were curated. For instance, we stitched black curtains and carried all the audio visual equipment so that students get the full experience of viewing a conservation documentary. At that time there were frequent power cuts. So, we even carried a generator so that the programs were not interrupted! Every aspect was learner driven. These were one of the major turning points in my life. Being a first timer, the response was overwhelming to me. The students were very keen to know more about wildlife. They expressed their interest in conservation by drawings, and talking about it. Their questions challenged me. I had a great time. But, I felt hollow reflecting upon it, because, the programs were one-offs. This was followed by a team of us working on multi-various programs were the engagement with students was periodic and using diverse methodologies. You work in the domain of creating empathy and understanding towards India’s natural heritage and complex environmental issues. Could you take us through some insights on any challenges you've encountered and how you address them? Sure! The challenges are enormous. So, I will keep them to the end! The first and foremost in addressing them is through our approach to conservation education programs. Students are at the core, and around them are all the materials we use on nature and conservation. It’s not the other way around. We don’t stay at the remember and understand level. For instance, ‘Save the environment’, ‘forests are important’ are at the remember level. “We are not on top of the ecosystem, but a part of it” is at the understanding level. We move further from these two and work with children so that they apply their learning, use pathways to analyze themselves and finally create. That’s when, I believe, deeper understanding and empathy happens. Finally, we co-create our programs with experts. For instance, one of the programs we conducted was called ‘The Planet and You’. It was for six months when I was able to work with 3500 students one day a month. It had six modules, Universe to India, Lifelines of our country, secrets of the coasts, backyard wildlife, conservation and you, and finally a wrap up session. Every session had Shekar Dattatri’s documentaries in Tamil. Arts Educator Srivi Kalyan designed interesting activities for the students. We had an able program coordinator, and I worked with children. It was a team effort, and the results were heartwarming. Coming to the hard part, three biggest challenges are: convincing schools to take up long-term programs on nature, conservation and sustainability, training effective communicators to deliver them, and measuring the on the ground impact of these programs. It is vital to link conservation and nature to the competencies that students need to navigate today’s world. I feel this would change the way we perceive and design environment and conservation education programs. As a movement, what do you feel India needs in its efforts towards environmental protection? What is preventing that from happening or being available? This is a tough question! We need a multidimensional approach towards environment conservation, and it is very hard in a densely populated country like India where change is very complex. Community involvement should be multiplied enormously and support for local conservationists should increase. 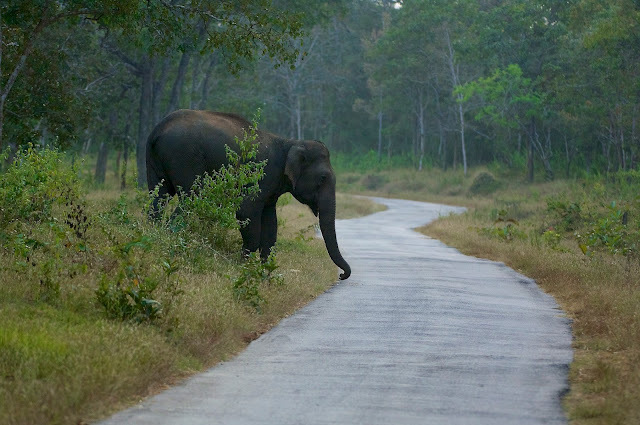 Today, only less than 4% of the forests in India are marked as protected areas like sanctuaries and wildlife reserves. They must be protected like there is no tomorrow. We need an army of people who understand the complexities of wildlife conservation, and who are enabling conservation action. Only then there is a chance for wildlife and wild spaces to survive. Time is running out as I type this. Imagine if we have a program where young people in various pockets of India, closer to nature reserves, are into advocacy, learning from the experts with watertight integrity, to save wildlife. While these are on one side, at the environment education front, we need a holistic approach where student learning about ecosystems, responsible consumption, food security and citizen participation are combined as one and offered in a way the enthuses students and benefits the schools and teachers. There are many factors that prevent these from happening. Funding, mobilising a diverse community, creating the immediacy, and most importantly, time. These are not immediate outcome based work that provide instant gratification. They require constant engagement and working with the system. Sure! Couple of years back, I worked as an assistant producer and editor for Shekar’s documentary on the conservation success story of the Amur Falcons. We needed a few additional shots to be captured for this. So, I was sent to a village in a remote corner of Nagaland in India’s far Northeast. That’s where lakhs of Amur Falcons, a small bird of prey, make their pitstop on their way to South Africa. They begin their journey from Siberia and the Russian far east. It’s a twenty-two thousand kilometre migration, the longest by any bird of prey. When I reached Pangti village, I was on a pedestal watching a sky full of these birds. Lakhs of them flying back to the roost in the crimson cloured sky was a breathtaking sight. The shocking fact is, this natural history spectacle was discovered only in 2012. At the same time, a few colleagues from Conservation India and the Nagaland Wildlife and Biodiversity Conservation Trust found that around 150,000 were being hunted during this 3-week season for meat. The killings were immediately stopped due to citizen action, thanks to Bano Haralu, a firebrand journalist who decided to bring the community together, put an end to this massacre along with support from her colleagues. From that year, the hunters were provided alternate livelihoods. Today, they work towards protecting the falcons. Personally, one success story to me while working on an education program was when I co-developed a 6-month student diploma called Karthavyam for HLC International School. Students observed various environmental problems, explored them by talking to experts, found their own ways to solve the problem, and in the end wrote storybooks that were published by the school. They went on a roadshow with their books and conducted storytelling sessions in their community, inviting people there to take part. Karthavyam is called dutiful citizenry - That’s what we need, if we are to create a generation of eco-conscious citizens practising conservation from their careers.